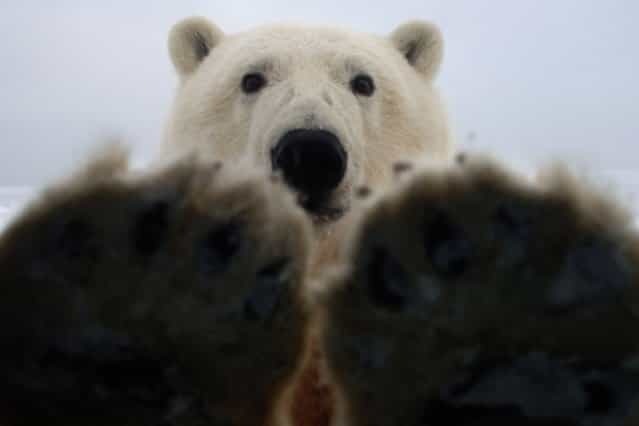 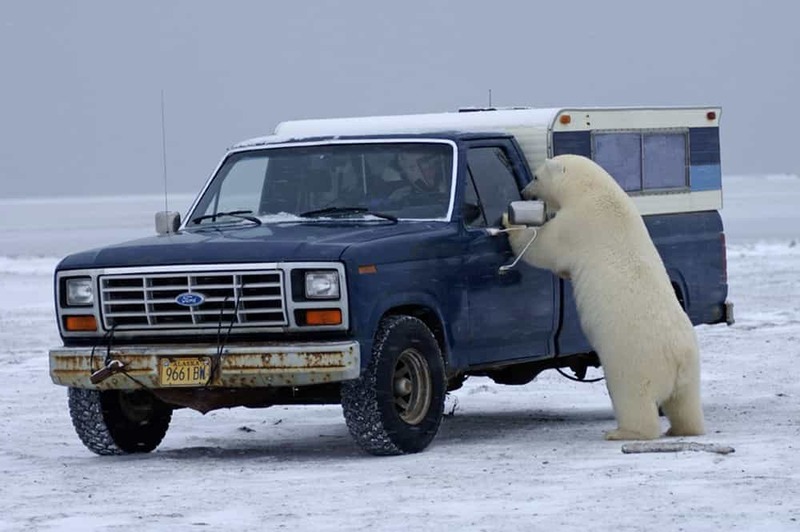 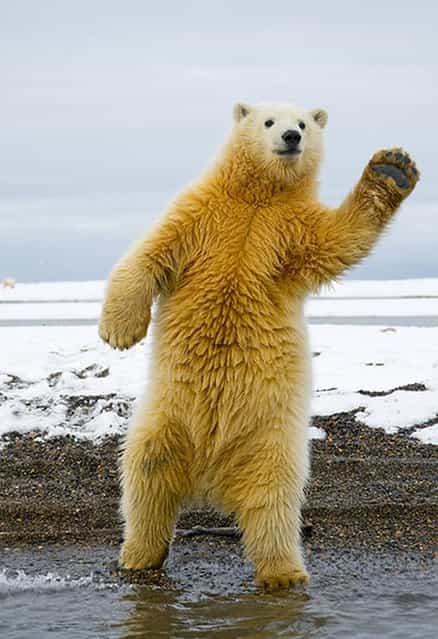 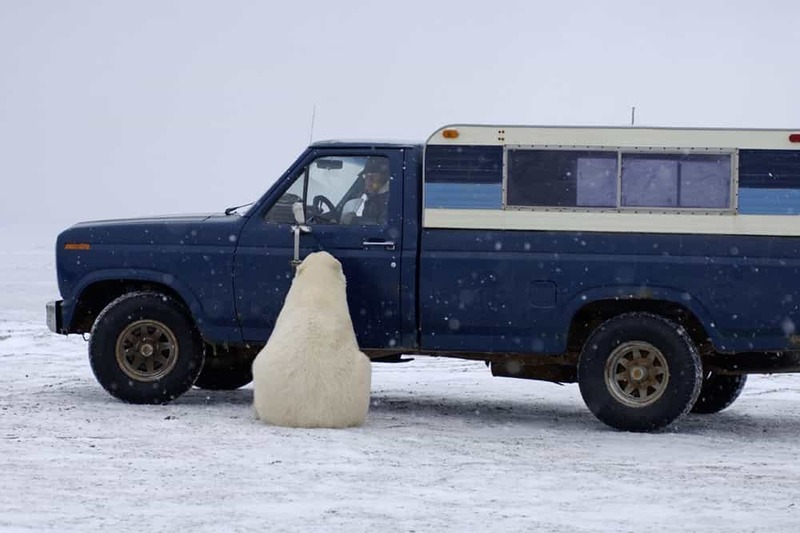 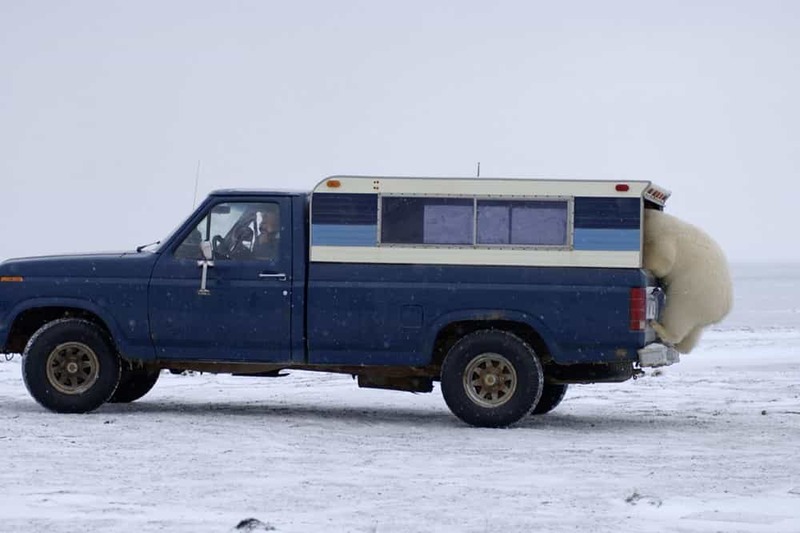 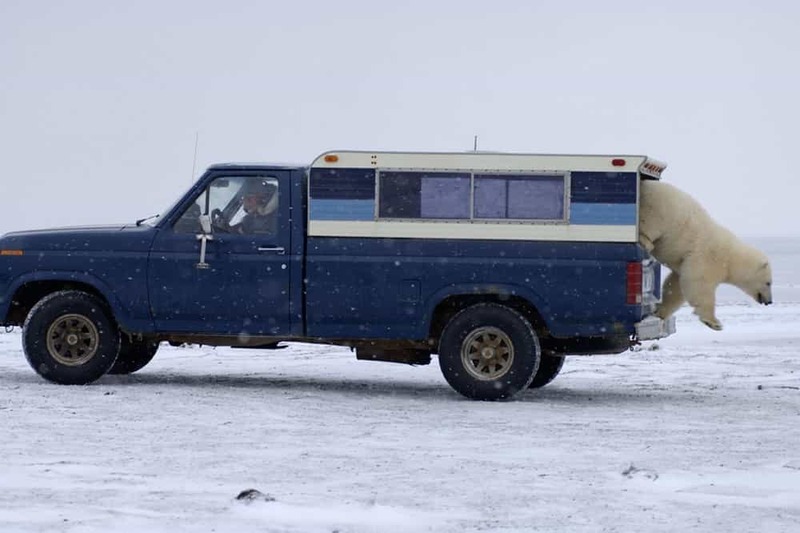 [This cheeky polar bear tried to hitch a lift off an unsuspecting driver by clambering into the back of his pick-up truck. 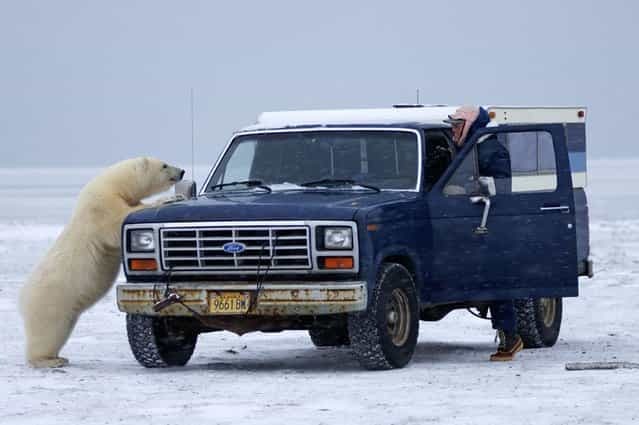 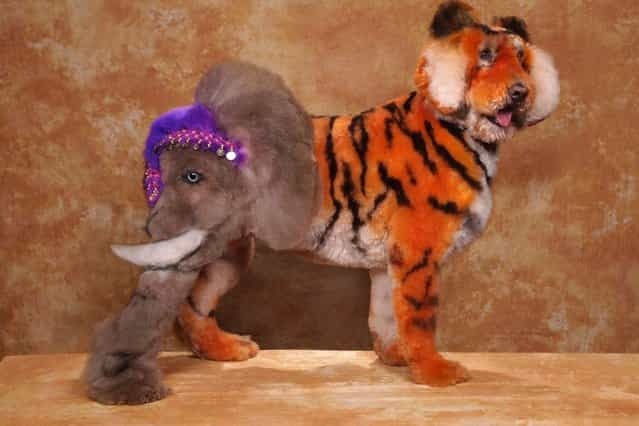 The curious creature spent about half an hour inspecting the vehicle and its owner before casually trying to climb aboard. 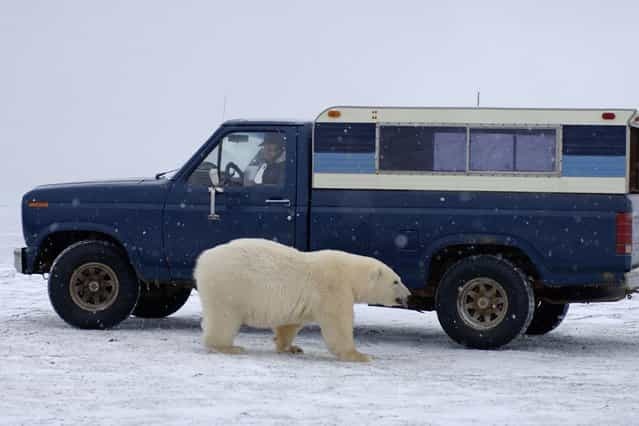 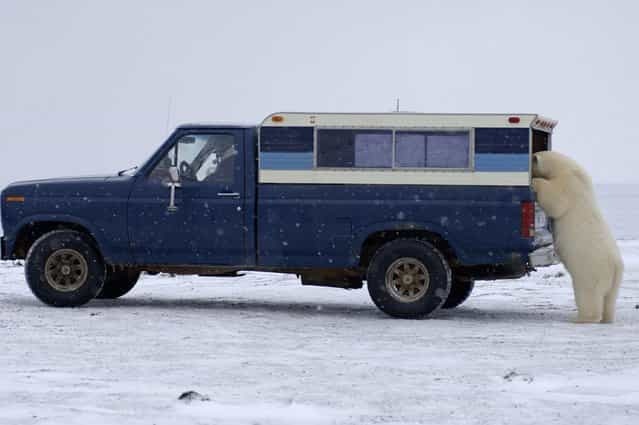 However, the truck must not have been up to scratch because the 7ft bear, weighing approximately 300lbs, promptly jumped back out and sauntered off.